Aims have provided us with e-learning design services on several global topic areas. What do you like best? Offering best practices to ensure e-learning is designed in the best way to maximize engagement. What do you dislike? We would love to see Aims develop an even more consultative approach at the start of a project, going from taking our brief and creating nice e-learning, to develop a deeper understanding of the result we are trying to achieve and designing with that in mind. Also more contracting at the start of a project so that expectations are clear on both sides, esp. with SME's who are not familiar with the design process and their role in it. Aims Digital LLC is a great team to work with. What do you like best? The team at Aims Digital LLC is very responsive, produces all deliverable on time and just a pleasure to work with. The quality of the products they produce is excellent and a great value for money. What do you like best? That they provide high quality results and respond quickly to all questions or change requests. The value for money is excellent. In the beginning I had some concerns if working together with an agency so far away from my Company (Germany) would work out. Until then I had only worked with agencies nearby. But everything works perfectly. Communication is no problem at all. What do you dislike? No dislikes. A great team that does an awesome job at creating learning! What do you like best? 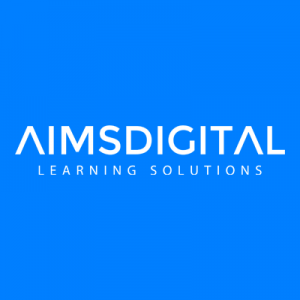 Working with Aims Digital has always been a pleasure! They have this knack of innovating even the most drab topics and convert them into great learning experiences, and their visual design skills are par excellence! These guys understand requirements well, and work out cost-effective solutions; and their attitude towards what they create is exemplary! Abhijit A. — COO/CMO at Cueris, Inc.
What do you like best? I liked Aims Digital's creativity most. The online course they created was highly interactive and kept the student engaged. When students are engaged they retain the information presented to them, which is the ultimate outcome for any education company like mine. Aims had many excellent suggestions which ultimately made our project a highly sought after product. They were on time and on budget. A pleasure to partner with. What do you dislike? No dislikes. They are excellent. Stacey F. — Owner, President Biotech Primer Inc.